In Argentina they call it Bonarda…What’s it called in California? In California it’s called Charbono…and there’s very little of it growing. A few wineries produce it as a varietal, and my favorite is Summer’s Estate. It also grows in Argentina where it’s called Bonarda, but some, not all Argentine wines labelled Bonarda are actually made with this varietal. There’s more to the story – Carole Meredith, DNA testing, Savoie, Dolcetto, Charbonneau, but this is a quiz, not a lecture. It’s Aligote, a grape known about and cultivated since the 1700s. Often our French friends make it into a varietal called Bourgogne Aligote, a dry, aromatic white that can also be the base wine for the sparkling Cremant de Bourgogne. Under French wine law a wine labeled Aligote can be mixed with up to 15% Chardonnay. It’s also mixed with Creme de Cassis (blackcurrant) to make the famous cocktail Kir. You should try this very pleasant, almost unknown wine! The best ones come from Bouzeron AOC in France, but you can get good Aligote from Washington State and even Long Island. What’s the Main Grape in a St. Emilion Bordeaux? The stock answer is Merlot. And it’s true…sorta. But a lot of St. Emilion wines, and some in Pomerol too, are heavy in Cabernet Franc. Perhaps the most famous wine from the so-called “right bank” – which includes both St. Emilion and Pomerol – is Chateau Petrus. This one is indeed based on Merlot and is, bottle for bottle, probably the most expensive wine on the planet. On the other hand, wine from Chateau Cheval Blanc (White Horse Castle) is mostly Cab Franc. And a writer from Slate called 1948 Cheval Blanc “the finest wine on the planet.” Never having tasted any, and never likely to, can’t say that I agree. Anyway, these wines contrast with the so-called left bank wines that are based on Cabernet Sauvignon, from the major appellations of Medoc, Haut Medoc and Graves, and all the sub-appellations such as Margaux, Pauillac and St. Julien. 85% of the wine must be from grapes grown in the specific AVA listed on the bottle. And…if the wine is listed as a specific varietal such as Cabernet Sauvignon, then at least 75% of the wine by volume must be of that grape. What’s The “A.P” Number on a Bottle of Wine? It’s just for German wines – they all carry an “A.P. number” ( Amtliche Prufungsnumber) which can give you a lot of information if you’re so inclined to parse the number and do the research. Frankly, I’m not. If you must know, the AP number is like an Internet IP address, but with five sets of numbers rather than four, separated by spaces rather than dots. The first number indicates the region, the second the village or town, the third number is the estate, the fourth is the barrel or bottling, and the last number is the year that the wine was tasted before bottling. What’s The “Puttonyos” Number on a Bottle of Hungarian Tokaji Wine Mean? Tokaji (Tokay in English) is a Hungarian wine, most often made from Furmint grapes in a very sweet style (Azsu) that is often compared to Sauternes or Barsac. Its relative sweetness is indicated by the number of “Puttonyos” – from 2 to 6 – as indicated on the label. These days the number is based on the sugar content in the mature wine, but historically this number represented the number of baskets containing a paste or mash of these very sweet, concentrated grapes that was added to a Gonc, a standard-sized fermentation vat. The more Puttonyi, the sweeter the wine. It’s a very nice dessert wine that you should try, and compare with other premium sweet wines. What is Malbec Called in France, and Where Does it Grow? In France, Malbec is called “Cot” and the best ones are from Cahors, in southwest France. An AOC Cahors wine has to be at least 70% Cot. It’s also grown in the Loire Valley. In Argentina, where the grape and wine are well known, the best ones are from Mendoza. Is Wine a Drink…Just for Snobs? “Wine held powerful sway over over its devotees and those who knew little about it or its history…wine was no longer something to drink on a hot day or a mere accompaniment to bread and cheese; it was an accoutrement of culture. Wine is a beverage – nothing more, right? So why are there, for example, Hundreds of wine websites, dozens of wine magazines, and thousands of wine books? You don’t find this kind of media or cultural phenomenon surrounding beer…or even distilled spirits. College football, maybe, but I doubt it. Except perhaps for the hoopla around the Ohio State-Michigan game (Go Buckeyes!). Wine writers love to tell you that wine has been around since time immemorial. But so has beer – the ancient Egyptians brewed it – and yet beer doesn’t offer the sense of mystique or culture that wine does. To many people, too, beer is not a socially “graceful” beverage like wine. And distilled spirits, while popular, just don’t appeal to a large segment of the population. Wine alone seems to have a charm and provide an air of elan that other beverages lack. There are a lot of differing views about this, not least from the people who themselves make and sell wine. 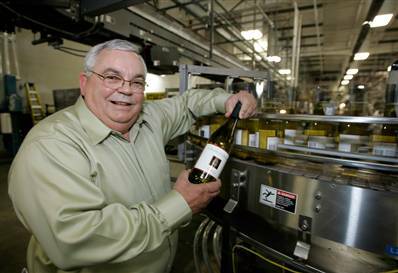 Fred Franzia, the irascible millionaire and creator of the infamous “Two-buck Chuck” bulk wine has been called “the scourge of Napa Valley”. 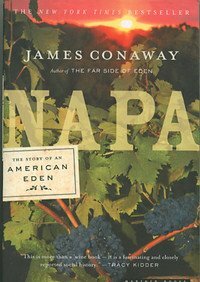 He believe that the wine industry has become intoxicated by elitism, inflated prices, and its own PR about Terroir, the idea that a wine is uniquely a product of the soil and climate where the grapes are grown, and by extension that some places and some wines are far better than others. There is a lot of elitism in the wine world and some in the wine trade – a belief that people who drink it are somehow better than others who don’t. And that goes one step further – the belief that if you can afford a $1000 bottle of Screaming Eable Cab, you’re a better person than someone who drinks a $10 Smoking Loon Syrah. Just look in the back of Wine Spectator, where you’ll see ads for custom wine cellars and outlandishly high-priced wine collections, for “exceptional people.” I guess I’ve never felt that having a lot of money by itself makes anyone “exceptional” and that’s a big part of what’s wrong with the wine business. There are also lots of varietal snobs – for example, those who turn up their noses at a fabulous $14 New Zealand Sauvignon Blanc with a Stelvin (screw-cap) closure, haughtily preferring instead a $40 Sancerre or White Bordeaux with a traditional cork even if the NZ wine is superior. Or even if it’s not arguably superior, millions may simply find the South Pacific version more enjoyable. Yet I’ve just found an article on Slate whose writer’s nose is so high in the air he must register it with the FAA. Of course, he’s entitled to his opinion, the putz, if even he disses an entire spectrum of wine. The point is that pretentiousness and snobbery are paid-up participants in the world of wine. I will add, though, that one of my mottoes is “Nobody should drink bad wine”. I used to say “nobody should drink cheap wine” but I’ve learned a bit over the last few years and no longer cling to that particular prejudice (there are so many others to choose from). To those who say “wine is just a beverage” I say “true” but only in the literal sense. Wine can multiply the pleasure of the food you eat, or turn an ordinary meal into something special. Wine makes a marvelous gift, and one that can be had quickly and with virtually no planning. Depending on what’s in the bottle and how it is stored, wine can keep for years or decades, and many wines grow in value as they age. Very few people re-gift a bottle of wine…except perhaps on Seinfeld…but you can! Wine is history. As Rome conquered much of the known world, Romans posted to its territories far and wide brought grapevines with them. That’s probably why, in addition to Italy, we get great wine from Spain and Portugal (Hispania), France (Gallia) and Germany (Germania) among other places. 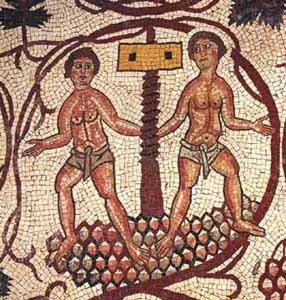 Grapes had already been growing in all these places for thousands of years, but Roman vines and grapegrowing techniques advanced the science of winemaking tremendously. So did the Roman art of glassblowing, which provided a much cleaner, more secure vessel for storing, transporting and aging wine. Go Caesar!! Wine is also good for you. The University of Bordeaux, in a carefully controlled cohort study, found that moderate wine consumption of 2-3 glasses a day was associated with a 30% reduction in the death rate from all causes; a 35% percent reduction in death rates from cardiovascular disease; and an 18-24% reduction in death rates from cancer. Many other studies confirm this. And more recently, evidence suggests that the fiber in grapes can reduce blood pressure and cholesterol better than other sources of dietary fiber – you know, the ones that you’re always hearing about on cereal and laxative commercials, such as oats and psyllium. Now I ask you – will it be a glass of Rioja…or Metamucil?